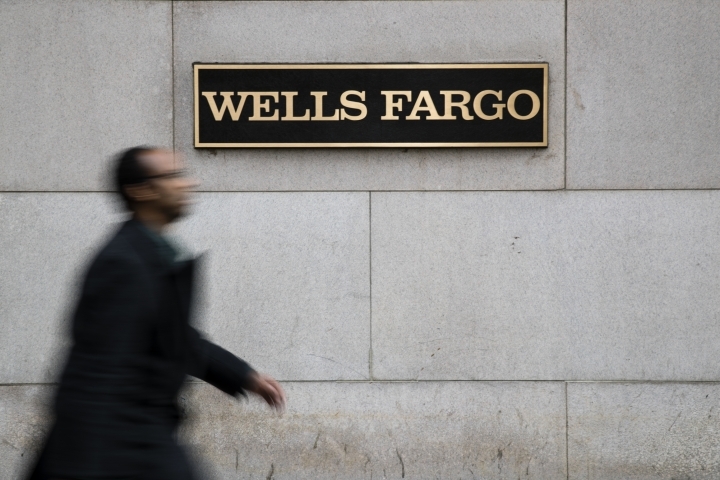 NEW YORK — Consumer banking giant Wells Fargo said its profits rose by 14% from a year earlier, helped by higher interest rates which offset the restrictions put on the bank's businesses after years of scandal. The rise in interest rates was more than enough to nullify the restrictions that had been placed on the bank by regulators. Last year the Federal Reserve capped the size of Wells Fargo's assets after the bank repeatedly found itself in one bank-related scandal after another, starting in 2016 with the uncovering of millions of fake checking accounts its employees opened to meet sales quotas. Typically a bank the size of Wells would be increasing assets and loans in a growing economy such as this one. But the bank's assets, loans and deposits all fell compared to a year earlier. It's not clear when the Federal Reserve will remove its restrictions on Wells' business. Federal Reserve Chairman Jerome Powell said earlier this year there was more work to be done at Wells before he felt the bank has satisfied the Fed's demands. Powell's comments, along with a poor performance in front of Congress last month, forced Wells Fargo's Chief Executive Officer Tim Sloan to unexpectedly and abruptly resign.